Re-plastering your swimming pool is an important job – trust it to someone with experience and an outstanding reputation. Skinner Swimming Pool Replastering has been removing and replacing pool plaster for over 62 years. Four generations of Skinners have operated the company. We are a family owned business with a long-standing reputation for excellent service. While most companies are still out there using jackhammers to remove your old pool plaster, we’re one of the very few in the country that uses our unique method. We have invested heavily into WATER BLASTING equipment to remove your old plaster. 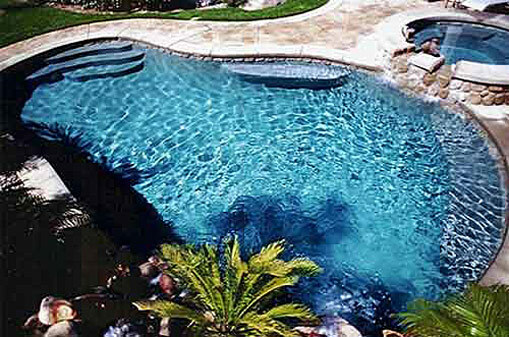 Water blasting is a significantly better method for removing the old plaster on your pool because it is precise. Jackhammers can remove too much of your pool’s structure and weaken it. Water blasting allows us to control the depth and accuracy of the plaster removal. Removing plaster with jackhammers weakens your structure which usually creates more work. It also may mean you have to re-plaster your pool too frequently. We use water blasting because it is simply much better for your pool!